Chipotle is reeling from another norovirus outbreak. But according to Chief Marketing and Development Officer, Mark Crumpacker, the right advertising tone (and a new menu item) will be the cure-all. It’s a planned queso rollout. 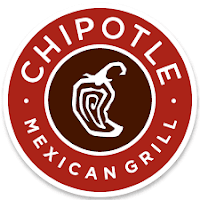 It took Chipotle twenty-two years to transmute from burrito stand to $23 billion brand. They showed up on our Customer Loyalty Engagement Index (CLEI) radar screen 11 years ago and moved up the Fast Casual restaurant loyalty list to take the number one spot. Being #1 looked like their reserved table, that is, until the series of disease outbreaks and a loss of customer engagement moved them down the list. After seven outbreaks of E. coli bacterium and salmonella-related illnesses, it can’t have come as any surprise to anyone when Chipotle posted its first loss as a public company. They reported same-store sales fell almost 30%, with operating margins down nearly 75% during its first quarter in 2016. Customers relegated them to #6 on our list, in table terms someplace halfway between the banquette and the toilets in the Fast Casual restaurant space. Unsurprisingly, the drop in CLEI ranking – always accompanied by lower same-store sales and margins – would seem to be self-evident and inevitable. You can’t reasonably offer consumers “quality,” “freshly prepared food,” and then have them get sick without expecting some repercussions! But sick as they might have been, when it comes to loyalty, engaged customers are six times more likely to give a brand the benefit of the doubt in adverse circumstances – like Chipotle customers did with the initial outbreak. And even the six that followed. But too many stomach bugs and bad news was ultimately too much for customers (albeit engaged customers) to stomach. That well of forgiveness isn’t bottomless. So the brand that started the “fresh movement,” had to look for a fresh start for itself. But it’s tough to come back, especially in light of new competition from the Paneras, Shake Shacks, Chick-fil-As, and Five Guys Burgers of the world. In 2017 Chipotle ranked #9 of 18 National brands. As these rankings always correlate very highly with consumer behavior and engagement with the brand, given the two newest outbreaks, we expect that Chipotle will be moving further down the list. But Chipotle apparently has a solution to the loss of customer brand engagement and loyalty. Personally we think it needs less noroviruses. In a national survey conducted among Millennial female shoppers July 10th through 15th, Brand Keys, the New York-based brand engagement and customer loyalty research consultancy (brandkeys.com), found that 38% were negatively disposed to considering purchasing Ivanka Trump’s line of clothing or shoes. In the initial 2016 wave, it was hypothesized that consumers could separate Brand Ivanka from Political Advisor Ivanka. Nine months later that does not seem to be the case. The most recent wave of the brand study – conducted among 1,005 female Millennial shoppers (balanced for political affiliation) who had spent at least $250 on a dress or pair of shoes in the past 12 months – found only a third (33%) are still extremely or very willing to keep Ivanka Trump brand on their shopping lists. That’s down 18% from the initial benchmark wave last October. While the political ramifications of Ivanka Trump’s personal involvement with the current administration cannot be ignored, uproars surrounding her father, and now her husband, Jared Kushner, currently a senior advisor to her father, the President, and now her brother, Donald Jr., cannot be ignored either and seem to be affecting the Ivanka Trump brand as well. From a legal perspective Ms. Trump entered into a trust for her business, turning the day-to-day control over to Abigail Klem, a top executive, and transferred its assets to a new trust overseen by relatives of her husband. Ivanka will no longer appear in advertisements and she has separated her business and personal social media accounts. But as marketing history has proven, there’s a world of difference between what’s “legal” and what’s a “brand,” and consumers know it More importantly they act upon it.